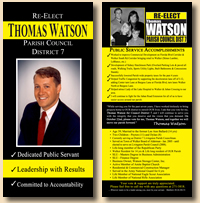 From a handful to 1000s, we can provide you with high-quality door hangers to ensure that your prospective voters remember your name when they head to the booths. We handle every aspect of the process from design to the final product. What better way to get the word out than yard signs? 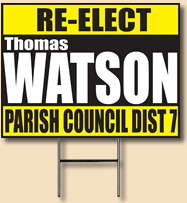 We can design your signs to match your campaign and then provide you with high-quality signs/stands so your voters can proudly display your information in their yards. Our pushcards stand out from the pack with vivid full-color print on 16pt glossy card stock. Single or double sided from 25 to 1000s. As with everything else, we handle it from start to finish.